This guest post is published in advance of the American Sociological Association conference in Seattle. Check back every week for new posts through the end of the conference on August 23rd. Poverty remains one of life’s biggest mysteries, although it seems to be more ethereal than usual as election years around the world kick into high gear. Through accidents and orchestrations of history, poverty is constantly exploited by politicians on the left and right and argued to have tidy and neat answers. In a time of what appears to be mass fear around the world, the demand for tidy solutions is probably at an all-time crescendo. I see this, not just in the San Francisco Bay Area, where homelessness is raging, but in Ghana (where I’m writing this blog post), where we too are preparing for an Election 2016. 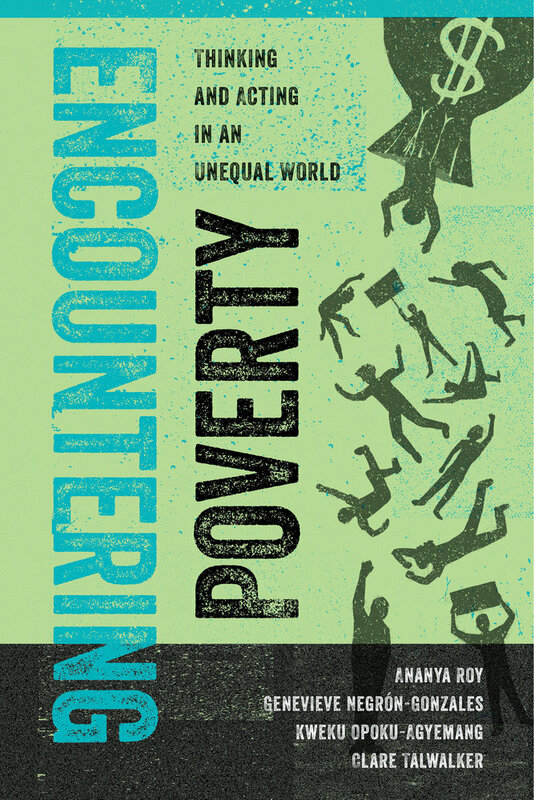 However, one thing my contributions to the new book, Encountering Poverty: Thinking and Acting in an Unequal World (co-authored with Ananya Roy, Genevieve Negron-Gonzalez and Clare Talwalker) has taught me is that there is still much that we do not know about poverty. Every election is just an opportunity for us to be reminded about this sobering reality. Perhaps some reflection is in order. Being an economist, I’ll draw upon a recent illustration from my field. A week or so ago, I read about a fellow economist in the news who was, of all things, “de-planed” — a nice way of saying he was mistaken for a terrorist and taken off a flight he had paid for—due to the discomfort of his fellow passenger with the mathematical proofs that the economist was writing on a notepad, of all things. This violation of his rights and peace of mind is outrageous for obvious reasons. It is interesting, to say the least, that to his fellow passenger, the first thing that came to mind from observing a social scientist was a negative effect on personal safety. But, although the comment sections on many media websites have trashed this passenger into the ground (and then some! ), I think that this event shows the yawning gap between social science research and the public in general. One can only imagine the relatively fearless conversations that might have transpired about poverty on that plane if we worked towards sharing our thinking with the public in an inclusive way. For all we know, the economist might have even learned something beneficial. While these new opportunities present themselves to reintroduce poverty studies to a new generation of scholars, policy makers, activists and students, I find myself wondering what role I might play as an economist. As the profession has benefited from a shift towards technology and data-driven development economics research to complement and discipline economic-mathematical theory, I’ve concluded that the perspectives of the public in general, and the poor in particular, is more important than ever before. Long ago, G. K. Chesterton argued that the essence of a picture is its frame. How you look at something determines what you see. But one does not have to fly on a plane with a social scientist to figure this out: we only need to take a look at one of the major issues of our times that is playing a dominant role in this election cycle: economic inequality. Global inequality, seen through the distributions of income and wealth and the stratospheric rise of the 1 percent, is the flavor of the month to a wearied journalist, a political platform for a cynical politician, and the reality for millions of middle-class Americans. Why is it critical to ask better questions of global poverty and inequality? Even global inequality, as important as it is, appears to focus mostly on the gap between the very elite of the very elite and the merely very elite…when framed as a discourse between middle-class Americans and the rest of the world. The missing voices in this discussion, as important as it is, is the voices of the poor, whose needs are obviously on an entirely different plane. What does this mean for the next generation of social movements, which require a level of social media-savvy and technological exposure that, not only abound in today’s movements like Black Lives Matter, but are championed by a new generation of start-ups that are fast remaking non-governmental organizations around the world in their image? For better or worse, such awareness is necessarily absent from people who are too poor to afford a mobile phone—the very people who the poverty discourse must serve. 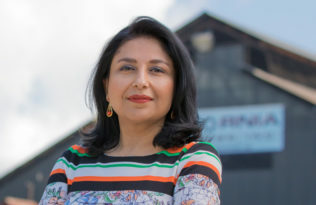 As economists, I believe that we need to follow the poor in asking better questions in our research and of ourselves, and make an effort to understand how to share our perspectives to broader audiences in ways that bring them on board as partners, not just subjects. Although I don’t have all the answers, I think that we have not yet began to ask the best questions, such as whether we need the poor more than they need us. 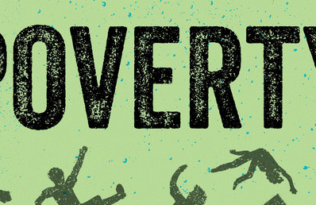 As we try to show in Encountering Poverty, all of us, as researchers, students, policy makers, activists, can come closer wrestling with the questions that may help us to better understand poverty—not just as a policy problem, but as a lived experience. Kweku Opoku-Agyemang is a Research Fellow at the Center for Effective Global Action at the University of California, Berkeley.